Four simple words. "I am an author." A no brainer after publishing my first book, right? Well then, why did I struggle for so long to say them? 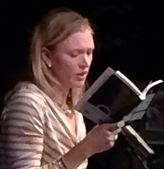 Even though the words help explain why, as a child, I would create intricate monologues between characters who wouldn't get out of my head. They also describe the habit I had developed of writing on every possible surface, including the walls of my shower. Even still, I was only able to half heartedly utter them to myself as my finger hovered over the Enter key to submit my first online column. And regardless of these random rites of passage into Writerdom, It took me over two years to realize that I had to start paying attention to these words and what they really signified in my life. With papers piling up at work and dust collecting in every corner of my house, I learned to let go of certain 'can do's' that could wait until tomorrow and embrace this one 'must do' and feed the hunger to write each and every day. People ask me all the time, "How do you make time for this?" And I can answer honestly; I do my best to honor the balance of working full time and being a wife and mother of two, and then I make the conscious choice to make room for this new role as a fledgling night owl. Today, I reflect on how it wasn't too long after those four words started ringing true, that I began announcing how I was 'writing a book.' And it suddenly came to me; Who writes books? Authors do. Authors who come in every size, shape and color, young and old, novice and seasoned. But in one way we're all alike; we find a way to feed our passion allowing us to own the truth in saying with pride, "I am an author." Sheala Dawn Henke lives in Fort Collins, CO where she has worked as an elementary school teacher for 15 years. 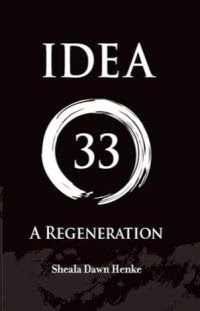 In a critiquing partnership with past and present students, she has successfully published her debut novel in the first of a series of young adult science fiction books titled IDEA 33- A Regeneration. Yes indeed, that's what we do. And we manage to find time for the writing in our lives. It really was hard to finally say the words. I think for me it didn't happen until I held that first printed book in my hands....and then it was like Snoopy doing the little happy dance to the tune of, "I am an author, I am an author..."